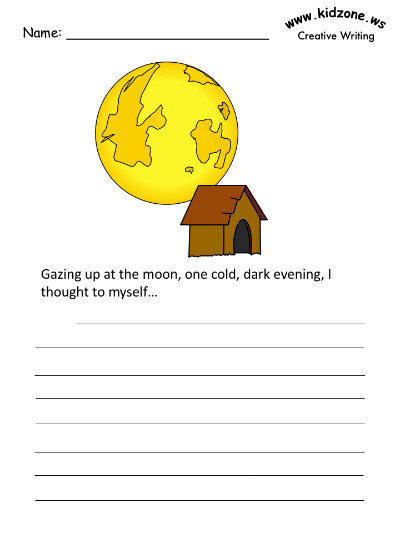 Print out the writing prompt activities with small sentence prompts to get your children writing! Your child may choose to focus their own story on the themes within our natural satellite, the moon, or they may let their imagination run wild. Anything is possible with fiction! I think story spark sentences are a great way to expand your child's vocabulary, and give your child the ability to get creative! "Gazing up at the moon, one cold, dark evening, I thought to myself..."
Write one or more paragraphs to go along with that first idea. Read the new story out loud!